Instantly downloadable sheet music by Mike Leander for bass of MEDIUM skill level. Alle Notenausgaben von Rock and Roll – Part II (The Hey Song) zum Herunterladen bei VirtualSheetMusic. 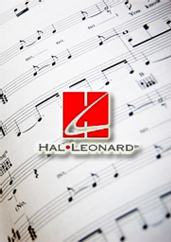 Instantly downloadable sheet music by Mike Leander for piano solo of EASY skill level. Alle Notenausgaben von Do You Wanna Touch Me? (Oh Yeah!) zum Herunterladen bei VirtualSheetMusic.